$15 for 7pc Mineral Makeup Kit + Free Shipping! 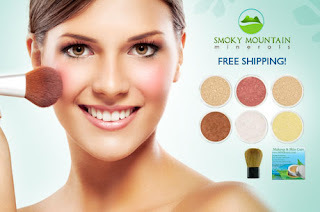 Head over to Eversave to score a 7-piece mineral makeup kit from Smoky Mountain Minerals for only $15 plus get free shipping! (use code FOOL at checkout to get this price) This pure mineral makeup provides flawless lightweight coverage while nourishing and protecting skin and is free of any dyes, fragrance, fillers, etc.